Small to medium-sized businesses are not safe from data loss or major system failure. Despite this fact, around 50% of these businesses are ill-prepared for such an occurrence because they have no Business Continuity Plan (BCP). You’ve probably heard news about companies that have experienced data loss. You may think that these losses can only happen to larger companies because of the huge databases they have. However, small to medium-sized businesses are not safe from data loss, either. 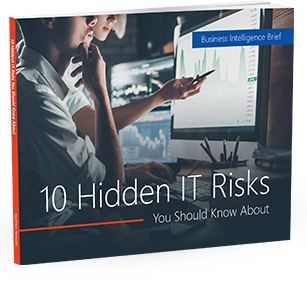 Unfortunately, according to recently conducted studies, around 50% of small to midsized businesses are at risk, because they have no Business Continuity Plan (BCP) in place. What is a Business Continuity Plan? It’s a comprehensive plan that enables your business to resume normal operations after a significant data loss or network downtime due to natural disasters, sabotage or theft, or equipment failure. Maybe you already have a Business Continuity Plan for your company. Even so, you need to make sure that your plan is flexible and scalable, and can adapt to the natural changes that your business undergoes. Software and hardware installations, updates, and modifications are an important part of business continuity planning. Your data should be properly and regularly backed up, and you need storage and recovery systems and procedures that are continually updated with changes that constantly occur in your IT. If your computer software and hardware are not properly maintained and procedures are not updated, this may lead to backup errors that will result to costly data losses. Unfortunately, companies routinely suffer significant data loss because they discovered the errors too late – usually while trying to recover the data. Your business is important to you – and to us, too. We’re here to help you create or fine-tune a Business Continuity Plan that is best suited to your unique business needs, as well as prepare and assist your staff in implementing the plan should it become necessary. Contact us for more details.